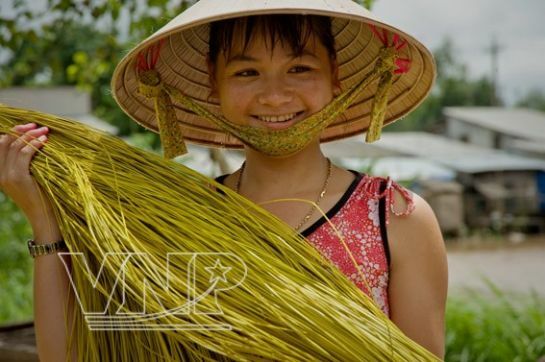 Situated about 33km away from Sa Dec Town in Dong Thap Province, Dinh Yen Village has been famous nationwide for its traditional mat-making craft which has existed for nearly 100 years. 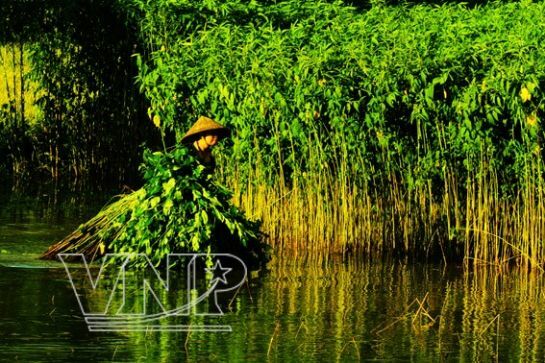 The Village, near the Hau River, is now an attractive tourist address. 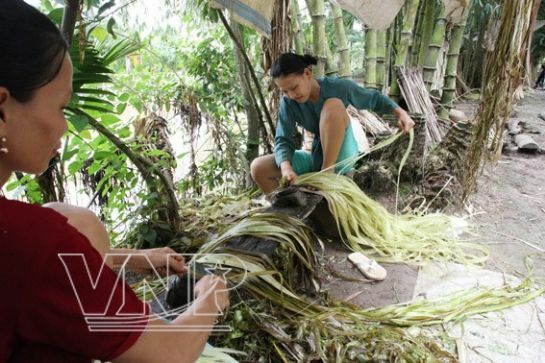 Coming here, tourists will have a chance to attend the village’s market where millions of products of different kinds from the Cuu Long River delta and the eastern area of Southern Vietnam are exchanged every year. Particularly in the last month or the first and second months of the year of the lunar calendar, mats are much sought-after. 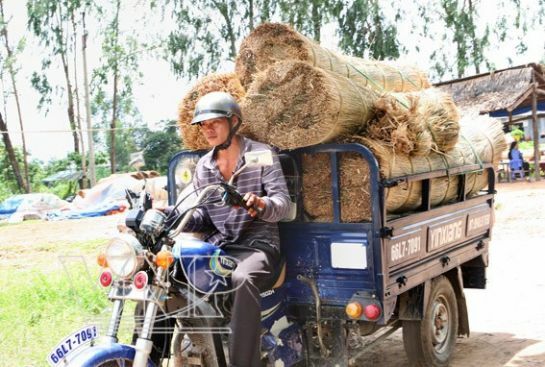 One of the most outstanding features of the market, different from those in other regions, is that buyers will stay at a place to wait for sellers who carry products on their shoulders. Another unique feature of the market is that the market is held at night for two hours because the locals are busy weaving mats all day long and they only go to the market at night. The market is always animated with young female sellers who enthusiastically introduce to customers various kinds of mats, diverse in colours and patterns. Prices vary widely and a lot of bartering can be seen going on. 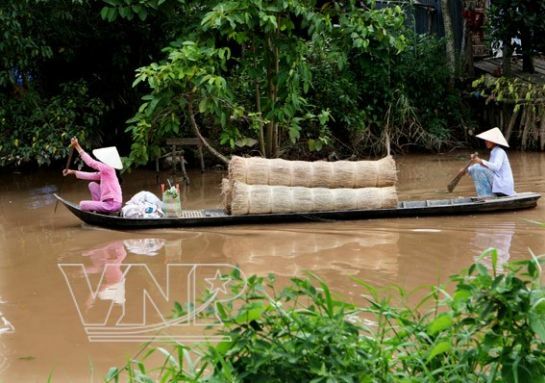 Transporting rush by boat in the watery Cuu Long River area. In the wharf are hundreds of boats and junks of traders from different provinces who go to the market to buy mats. 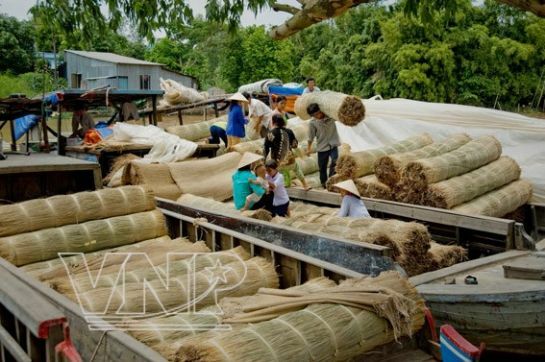 Each trader buys 500 to 1,000 mats to sell all over the watery area of Cuu Long River. 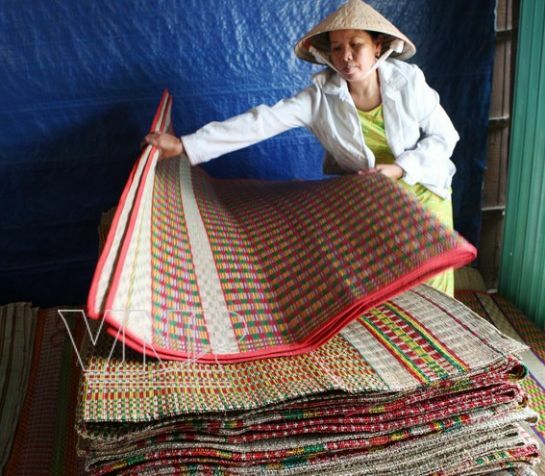 The market is also the place where mat-making materials from Sa Dec, Vinh Long, etc., are sold. among products made in Dinh Yen Village. Visiting the market, tourists will be impressed by an exciting atmosphere of the market on the yard of An Phuoc Pagoda. 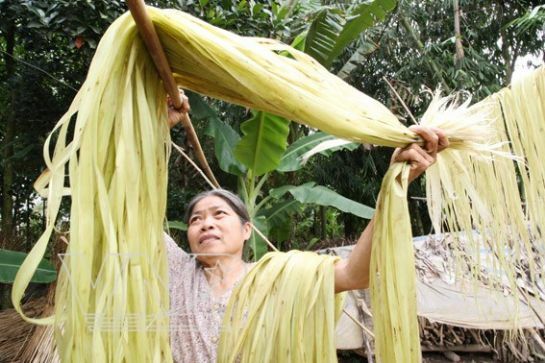 Dinh Yen mats are sold at the local market and in many parts of the Cuu Long River delta. Bustling Dinh Yen mat market.